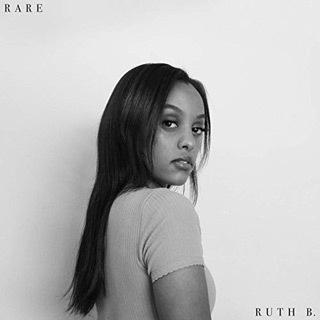 March 6, 2019 Interview – Ruth B. Place someone behind an acoustic guitar or in front of the keys of a piano, and you may find a natural born songwriter. Sometimes that is all it takes for inspiration to ensue, and for Ruth B., she and the piano go hand in hand. 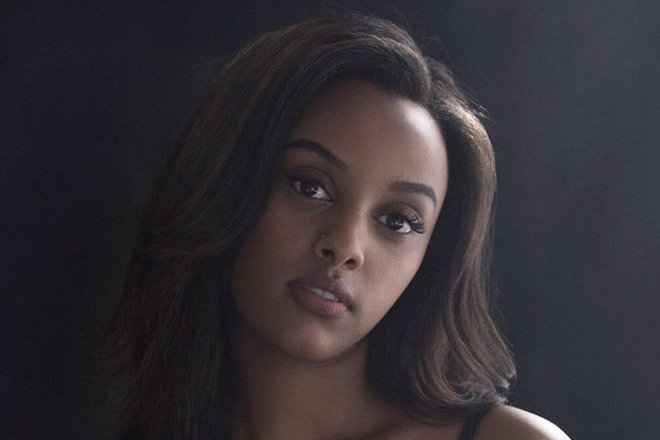 Adoring music from a young age while growing up in Edmonton, Canada, Ruth B. came out of her shell a little over five years ago, and in 2015 struck gold with her self-penned single “Lost Boy.” The start of something special, she would go on to release her debut album, Safe Haven, in 2017 to critical acclaim. Now, she is preparing to take the next step in her evolution as songwriter in 2019. 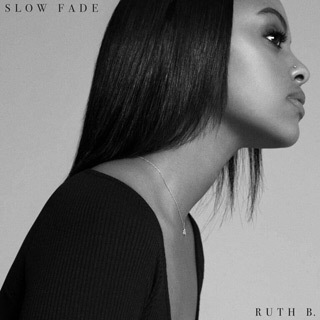 Yearning to dig even deeper, Ruth B. has plenty of new songs in the works as she pours her feelings out to prepare for the material that will become her sophomore album. Aiming to release more new music sooner than later, she recently sat down to talk about the positive experiences she has had in recent times, learning from others, her approach to new music, plus more. Cryptic Rock – You have found a good deal of success over the last 5 years, releasing your debut album Safe Haven in 2017 and earning a hit single with “Lost Boy” in 2015. First, tell us, what has the last 5 years been like for you? Ruth B. – I would describe it as exciting for me. It was at first really crazy and it kind of happened out of nowhere. It’s been a lot of fun, I’ve done a lot of learning, and I’ve got to experience a lot of cool places and different things. I think overall it has been a really exciting time. Cryptic Rock – You have accomplished a lot so far. You have been nominated for awards and, as mentioned, witnessed the success of “Lost Boy.” What was it like for you when you saw all the positive attention “Lost Boy” started receiving? Ruth B. – It was really cool to see people react that way to “Lost Boy.” It was the first song I had written and never actually put anything out there that I made myself; it was usually just covers before that. For people to react positive to something I created was super inspiring for me. Cryptic Rock – That’s really exciting. You would then go into the studio to record your debut album, Safe Haven. What was that like going into the studio for the first time to write and record a full-length record? Ruth B. – That was a lot of fun. It was really scary for me, again, just because it was all new. I didn’t really know what to say or how to do things, but I knew I had written these songs I loved. It was really fun and it was one of the best times ever because you only make your first album once. Cryptic Rock – The album came out well and you have released some new music since then, including the most recent single “Slow Fade.” With Safe Haven under your belt, moving forward, is there any other new material you are working on? Ruth B. – Yeah! I’ve been working on a lot of new music over the past 2 years since the album came out – it’s a lot of time to feel, grow, and write. I’ve just been writing a lot, working with different producers, and figuring things out. It’s been so exciting to put music out that I’m really behind and have people listen to it. It’s really fun to me. Cryptic Rock – That is great to hear. Your music comes across very personal, and of course your singing helps that personal feel. What inspires you as a singer and songwriter? Ruth B. – Just everyday life. I try to never close myself off to certain things, especially now, I’m trying to be even more personal than I’ve ever been. I write a lot about love, because that has always been interesting to me. As of late, I’ve kind of just been writing about myself verses other people. It’s kind of scary and challenging but it’s really therapeutic, and you are able to tap into things about yourself that you didn’t even know. That’s been my goal for 2019: to write even more honest and more personal than before. Cryptic Rock – Sometimes as listeners, we take for granted the music we are listening to. When a songwriter is writing, they are usually writing about something deeply personal. That has to be scary to put yourself out there in such a vulnerable way. Ruth B. – It is! 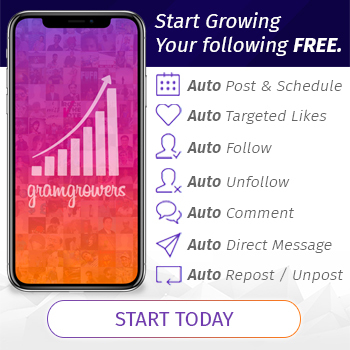 Sometimes you try to filter yourself out, because it is scary – you are really talking about your life, people in your life, and sometimes you don’t want those people to know how you feel. (Laughs) I just find the best writing for me happens when I’m not filtered or not trying to be too smart or too clever, and just trying to say exactly how I feel. Cryptic Rock – Understandable. You have collaborated a lot with others and you said you have learned a lot, as well. What would you say are some of the most important things you have learned from your experiences thus far? Ruth B. – I started the writing sessions for “Slow Fade” with one of my favorite groups called Oh Wonder – they are amazing. I feel like for the last year I’ve been like a sponge. I was not wanting to go into the writing sessions at first, but you just learn, especially when you are with different writers. I’ve never had that experience. I think what I’ve learned most is not how to write but different ways to write. Before this, I had my own set way of writing and I tried to never falter from that. Now, you just see different people’s ways of writing, how they write and what they do; it’s very interesting. I try to go into everything with an open mind and take what I can out of it. Cryptic Rock – That is a good outlook: you learn something new from everyone and can take something away from those experiences. It also helps with your growth, as well. As a songwriter, you have a diverse style ranging from down tempo to more up tempo songs. That said, are you going in a different direction or is your forthcoming material an extension of Safe Haven? Ruth B. – I don’t think I’d call it an extension. I think the last couple of years have been full of exploration. I’ve just tried to try everything. That doesn’t mean I’m trying to change myself but I think naturally you just evolve, whether that’s in your music or as a human being. I’ve just been receptive to trying anything. I think the music is relatively the same in the sense that it’s all honest lyrics, but in terms of sound and production, I’ve worked with a bunch of different, super talented people. Again, there are more heavily produced songs on it, but still the classic piano ballads I’ve always done. Cryptic Rock – It will be something to look forward. You really do excel with piano ballads. 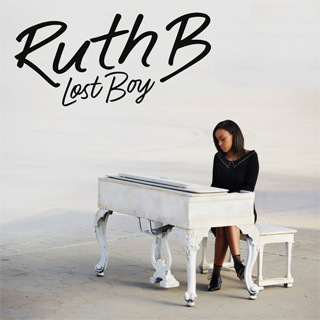 Ruth B. – I love the piano, it was taught as a child. I still usually write most of my songs on piano, whatever happens after is whatever. I think that will always, for me, be the most comfortable space – a good piano song. Cryptic Rock – Usually songwriting starts with a singular instrument and you put layers on from there. Do you have any 2019 tour dates that will be announced soon? 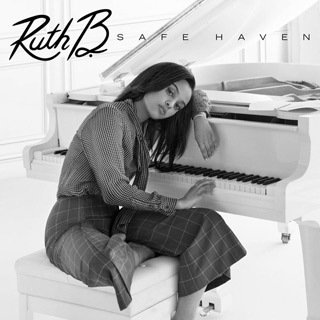 Ruth B. – I’m hoping so. Right now I am just working on music, but love performing and connecting with people. Definitely sometime soon I’m hoping. Cryptic Rock – Very cool. Is there a set date for a new album? Ruth B. – Sometime this year, probably sooner than later actually. Definitely this year. My whole thing is to continue to put out music and lots of it. Cryptic Rock – That is good news! 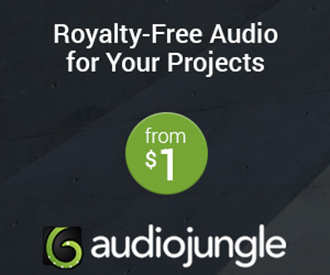 Obviously the internet is a great tool to get your music out there; you know that first hand. What is like getting that instant reaction when you post music online? Ruth B. – It’s so cool. I always think about how it was back in the day when all my favorite artists would put out a song and that was it; they couldn’t right away read the comments and such. It’s a blessing and a curse: it’s amazing to read that stuff, but sometimes you get caught up in it. I think, for me, it’s a nice way to connect with people; regardless, it’s always nice to know what people are thinking. Especially when it’s positive, it really does warm your heart to know something you put your life into and people react so positively, it’s really nice. I like it for that. Cryptic Rock – Exactly, and that’s the positive side of it. There is also the negative side we all know too well. Listening to your music, it appears you have many different influences. Who are some of your influences? Ruth B. – I love a lot of different music. Growing up, I really loved Lauryn Hill. I love The Beatles, I love Lana Del Rey, Ed Sheeran, and that kind of stuff. It was always singer-songwriter music that resonated the most with me. 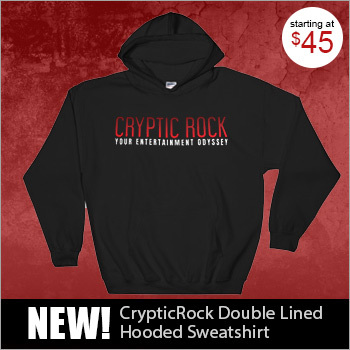 Cryptic Rock – That diversity shines through in your music. Last question for you. Beyond music, Cryptic Rock also covers movies. 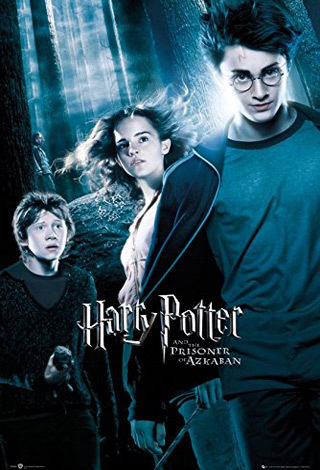 What are some of your favorite films in the Horror, Fantasy, or Sci-Fi genres? Ruth B. – I do watch a lot of Horror movies. I don’t know if I like it: I like it in the moment but a couple hours later when I’m in my room alone, I don’t. I can’t really tell you the last Horror film I watched, although, it probably wasn’t that long ago; I watch them a lot. 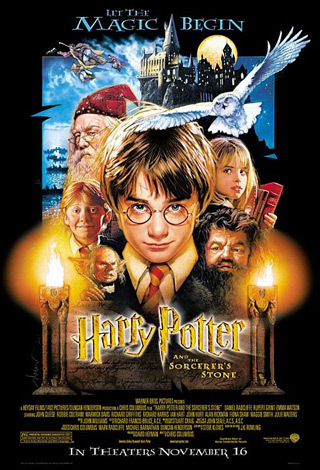 Fantasy, growing up, I was the biggest Harry Potter fan. I like a lot of Fantasy books to be honest, I read books more than I watch movies. Nowadays, I watch a lot of Documentaries, I’m boring. I recently watched the Ted Bundy Documentary on Netflix, Conversations with a Killer: The Ted Bundy Tapes. I don’t know if I enjoyed it, but again, very insightful and disturbing.